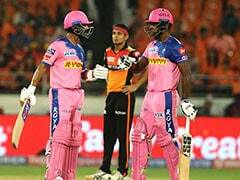 SunRisers Hyderabad rode on David Warner's 69 to outshine Rajasthan Royals by five wickets at the Rajiv Gandhi International Stadium on Friday. 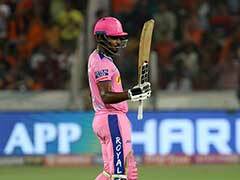 Sanju Samson scored the first century in the Indian Premier League (IPL) 2019 but that wasn't enough for Rajasthan Royals as they suffered a second successive defeat on Friday. 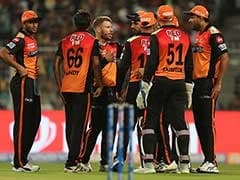 SunRisers Hyderabad rode on David Warner's 69 to outshine Rajasthan Royals by five wickets at the Rajiv Gandhi International Stadium. After opting to bat, Ajinkya Rahane led from the front as he scored a 70-run knock. It was Sanju Samson's unbeaten knock of 102 runs that lifted Hyderabad to 198/2 in their allotted 20 overs. However, Rajasthan bowlers failed to defend the huge total and Hyderabad chased down the target with an over to spare. Chasing a mammoth 199-run target, Warner set up the platform for Sunrisers with a breezy 69 off 37 balls and together with Jonny Bairstow (45 off 28) added a century stand for the opening wicket to spoil Rajasthan's day. 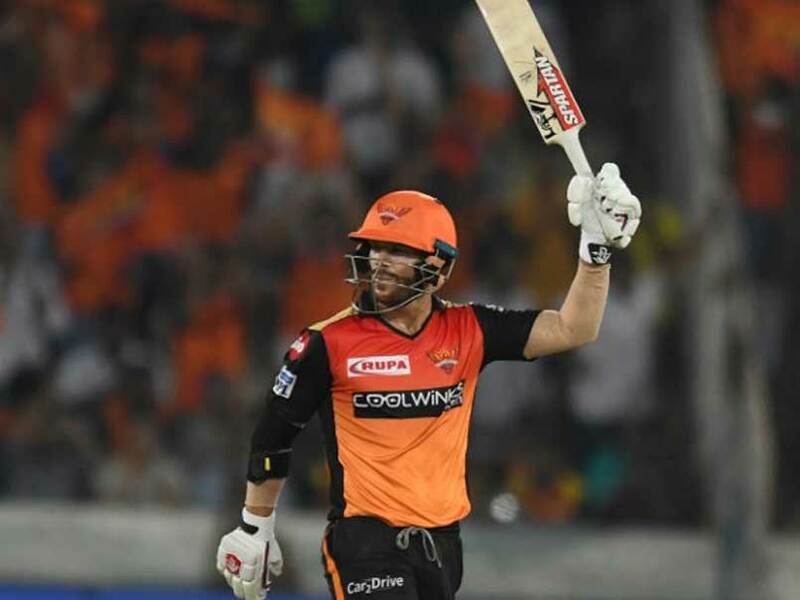 Sunrisers needed the quick start if they fancy their chances of eclipsing Rajasthan's imposing 198 for two and Warner and Bairstow just provided that to give the impetus for the rest of the batsmen to follow as the hosts chased down the target in 19 overs. Earlier, Samson smashed the first century of the ongoing IPL and together with skipper Rahane stitched a century stand to guide Rajasthan to a mammoth total. Samson didn't spare a single Sunrisers' bowler and remained unbeaten on 102 that came off just 55 balls with the help of 10 fours and four sixes. It was Samson's second IPL ton. His first century came in 2017. 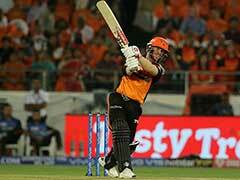 Chasing the total, Warner looked in imperious form as he started clobbering the Rajasthan bowlers from the word go. Sensing the demand of the situation, Warner, who hit 85 against Kolkata Knight Riders in a losing cause in their opener, went hammer and tongs from the beginning and struck fours and sixes at will to propel Sunrisers to 54 for no loss after five overs. Together with Bairstow, Warner shared 110 runs in just 58 balls for the opening stand. But just when it seemed Warner would run away with the game, Ben Stokes foxed him with a perfect short ball as he was holed out by Dhawal Kulkarni at deep fine leg. Warner's knock was studded with nine fours and two sixes. It would have been double blow for Sunrisers but Kulkarni dropped Bairstow at thirdman a ball later. But Kulkarni made up for his mistake in the final ball of the next over, latching on to a fine catch at the long-off to sent Bairstow packing. 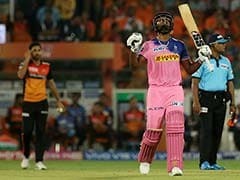 Skipper Kane Williamson (14) and Vijay Shankar (35 off 15) played aggressively to bring down the equation within reach but three quick wickets, that too in consecutive balls of Shreyas Gopal (3/27) in the 16th over, changed the complexion of the game. But Yusuf Pathan (16 not out) and Rashid Khan (15 not out) played sensibly to overwhelm the target with ease.